Creating a production company that’s comparable to what’s on Broadway is impressive in itself. But what really sets Audience of One Productions (AOOP) apart is how they not only help performers improve their skills, but also encourage them as a person — two things important to Angie Dee, AOOP founder and director. With a background in theater, improv, voiceover work and as a spokesmodel, Dee worked as a children’s and youth minister for 13 years and has also taught drama class at Heritage Christian Academy. She’s even written two original plays and musicals that were performed from 2011 to 2016. But it was her faith that eventually led her to launch AOOP, giving Wilson County a Broadway-level production group. She found the perfect home for AOOP at Lebanon’s Capitol Theatre, located at 110 W. Main St. “Capitol Theatre is spectacular, and I was drawn to this stage,” Dee says. 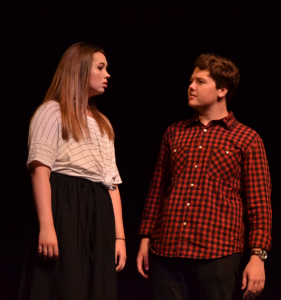 AOOP has since filled the stage with shows like “Into the Woods,” “Beauty and the Beast” and “A Christmas Carol.” And their next play is sure to attract even larger crowds with its must- see cast and production. 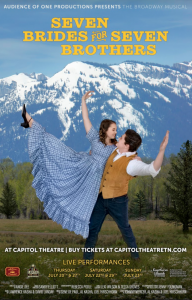 They will perform “Seven Brides for Seven Brothers” July 20-23, 25 and 27-29 at Capitol Theatre (see exact times on page 12). Based o of the 1954 musical lm, the group’s rendition of “Seven Brides for Seven Brothers” will transport the audience to Oregon in the mid-1800s. The play will have a little something for everyone, from dancing and singing to comedy and love. Audiences will feel like they are seeing a musical in New York. “Seven Brides for Seven Brothers is one of the most outstanding triple-threat shows of all times,” she says. “The vocals are beautiful, the scenes are hilarious and the dancing will blow you away. The play will have two casts, with some of the actors performing in both, and their ages range from 14 to 18 — although their talent and experience levels are way beyond their years. Putting together that level of performance is no small task. It takes a lot of work to get everything ready for this play, from the scene work to the choreography. They’ve put in more than 60 hours of set, costume and lighting design alone. Of course, Dee didn’t put all of this together by herself. She has a world-class team who helps make it all possible. 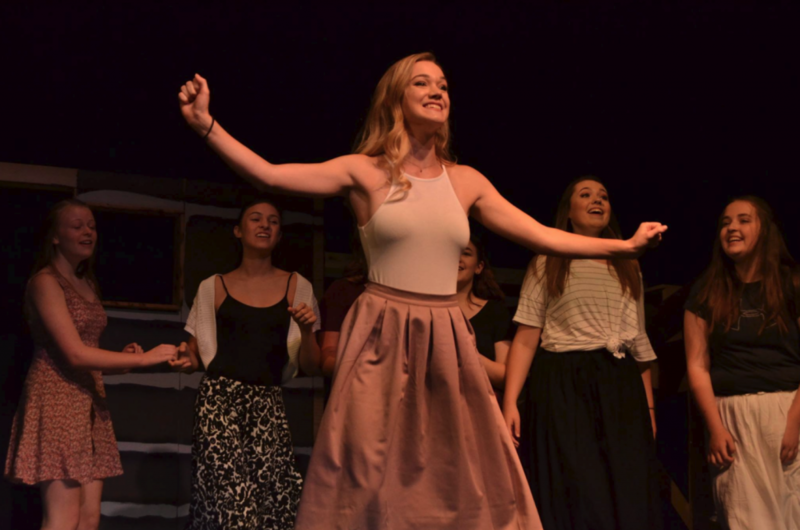 Her all-star list includes Sandy Elliott, music director; Jenny Youngman, vocal coach/ pianist; Rebecca Poole, choreography; Ian Tucker, acting coach; Cameron Gilliam, acting and dance captain; and Lexi and Tessa Groves, dance captains. The group’s grand curtain sponsors are Southern Bank of Tennessee and QED. Another important part of their team is their amazing cast, who devoted 175 hours for rehearsals to gear up for the upcoming play, practicing three to four days a week. 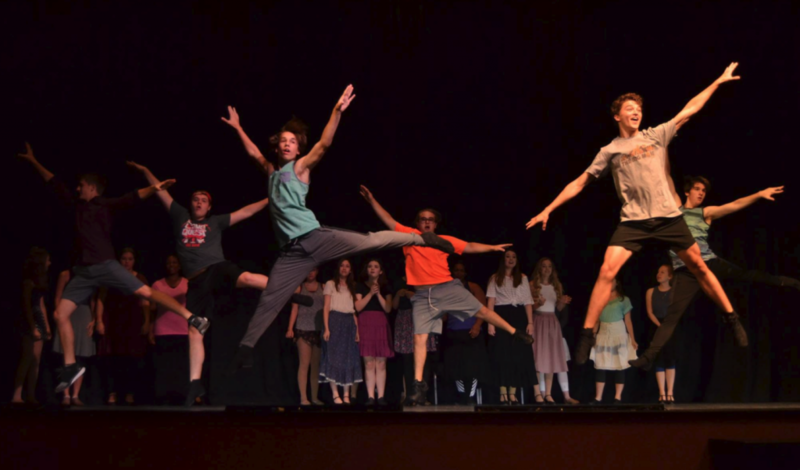 One of those actors who continues to pour his talents and passion into his role is 16-year-old Evan Reavis, who plays the lead in “Seven Brides for Seven Brothers” as Adam Pontipee in both casts. While this play isn’t his first, it will be especially memorable for this young man whose mother passed away from cancer when he was in middle school. AOOP will pay tribute to his mother, Cindy, during the play, which is a fitting way to remember someone who encouraged others to be the best they could be — a sentiment that’s close to Dee’s heart, as well. Another way she achieves that goal is through summer classes. They will o er Showstoppers classes for children and adults in August on Saturdays from 9 a.m. to 1 p.m. and Mondays from 6 to 8 p.m. Participants will learn how to audition for a show on a professional level, acting techniques, dancing and acting fundamentals, character development and much more. The class participants will also get to showcase what they’ve learned in a performance for their friends and family once it ends. It’s perfect for both children looking to learn more about performing and also more seasoned actors who maybe want to pursue musical theater. Whether people are looking to get involved with a talented group or want to enjoy their impressive performances, they can do it all right here in Wilson County. For more information about upcoming performances, auditions and the cast, visit Audienceofoneproductions.com. Purchase tickets for “Seven Brides for Seven Brothers” at Capitoltheatretn.com.